As of December 2007, I started my own little company in which I offer my expertise and knowledge to other companies. I started this company to broaden my experiences in my own free time. 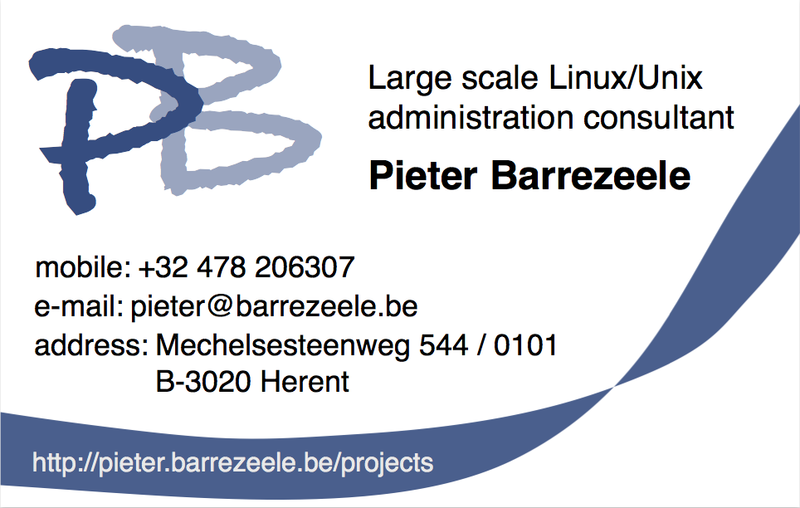 My specialties are centered around large scale Linux/Unix system administration: centralised roll-out and administration of server farms, desktop environments and HPC clusters. 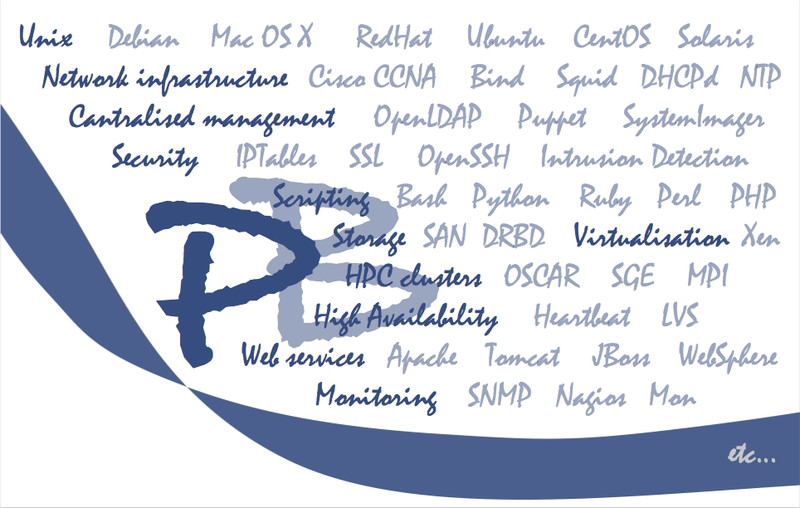 Linux, SystemImager, Xen, Puppet, APT, Yum, Apache, postfix, LAM/MPI, Sun Grid Engine have little or no secrets for me. For a full list of technologies I master, I’d like to refer to my résumé, which you can find on my website and which I will try to keep up to date. Be sure to check once in a while! If there is any task for which you think you can use my help, be it rolling out a new set of servers, troubleshooting an existing setup or documenting an environment left behind by a former employee, do not hesitate to contact me, and we’ll work something out. Keep in mind though that this is a side-project for me and hence I can not perform nine-to-five working days.